Your business runs on email. Unfortunately attackers know this and that’s why most security threats start with an email – the Wall Street Journal puts the number at 97% of all security breaches. The goal is to get the end-user to click a link, provide valuable information, send a substantial wire transfer or disrupt your business operations. Whether aspear phishing attack, a ransomware attack or an impersonation attack, the damage is substantial and can include financial loss, reputational damage, data corruption and/or loss. Protecting against routine spam, viruses and malware is important, but you also need help responding to new threats and challenges that your current security infrastructure wasn’t designed for. The threats to an end-users’ inbox are constantly changing and have moved far beyond the daily barrage of spam and virus content on their work desktop. Attackers are now using sophisticated social engineering tactics to create more targeted attacks on your email and will often go to great lengths to form an emotional connection with the end user to get access to critical systems and valuable corporate data. IT teams work hard to block the majority of external attacks at the email gateway but an innocent click on a link to an infected webpage can undermine all this work. Even those with traditional web scanning in place may not be safe if the link is accessed from a mobile or personal device. Most security solutions focus squarely on prevention of an attack, whereas it’s essential to cover all three phases (before, during and after an attack) because no solution can claim perfect protection. 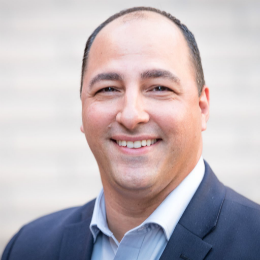 In this session at Armour Expo 2019, presented by Microsoft MVP J. Peter Bruzzese, he will cover the types of threats being faced and ways to mitigate those threats through both technology and education. J. Peter Bruzzese is a Microsoft MVP, an internationally published author, a technical journalist and speaker. He travels the globe helping to raise security awareness with email threats as his primary focus. He has co-founded both Conversational Geek and ClipTraining. Last, but not least, he is a strategic consultant with Mimecast. You can follow him on Twitter @JPBruzzese.